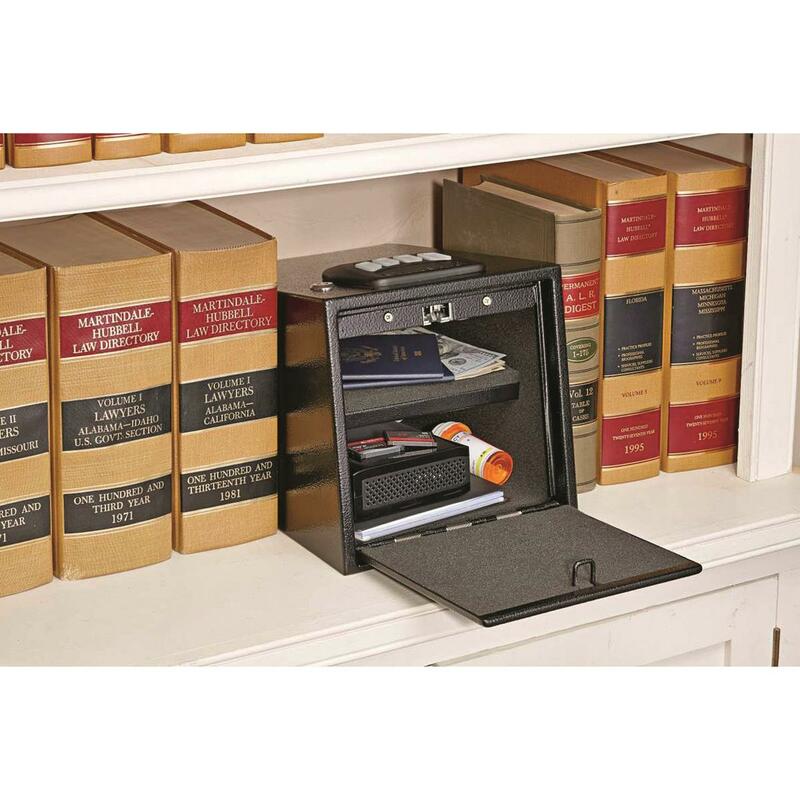 Protect valuables from unwanted guests. 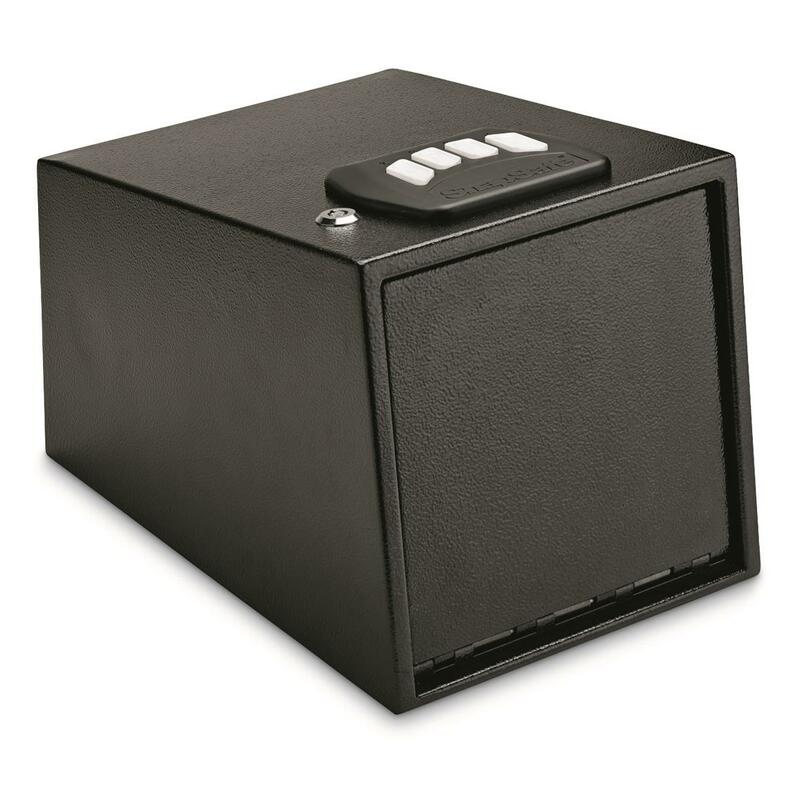 12.7"w. x 8.8"d. x 9"h.
Keep your pistol and other valuables locked up and secure. 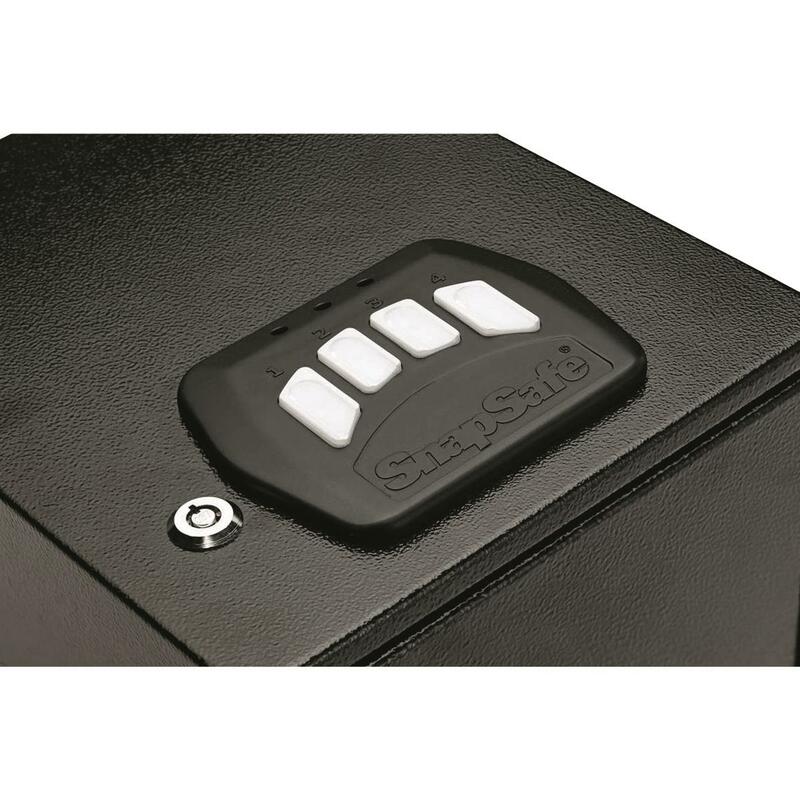 The SnapSafe® 2-Gun Keypad Vault is made from durable 16-gauge steel, with a spring-loaded door and 4-6 digit keypad code. 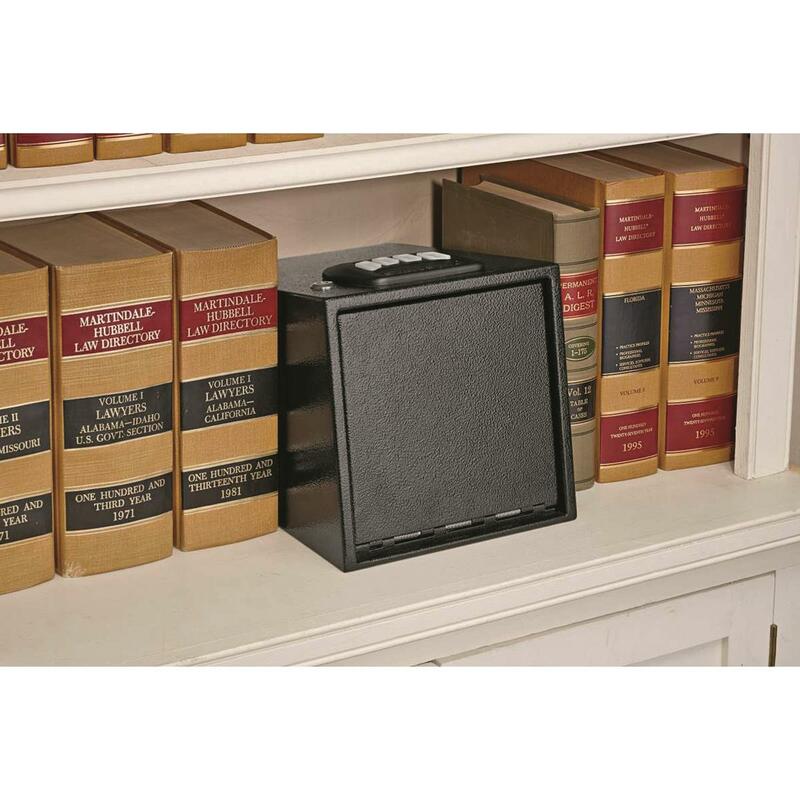 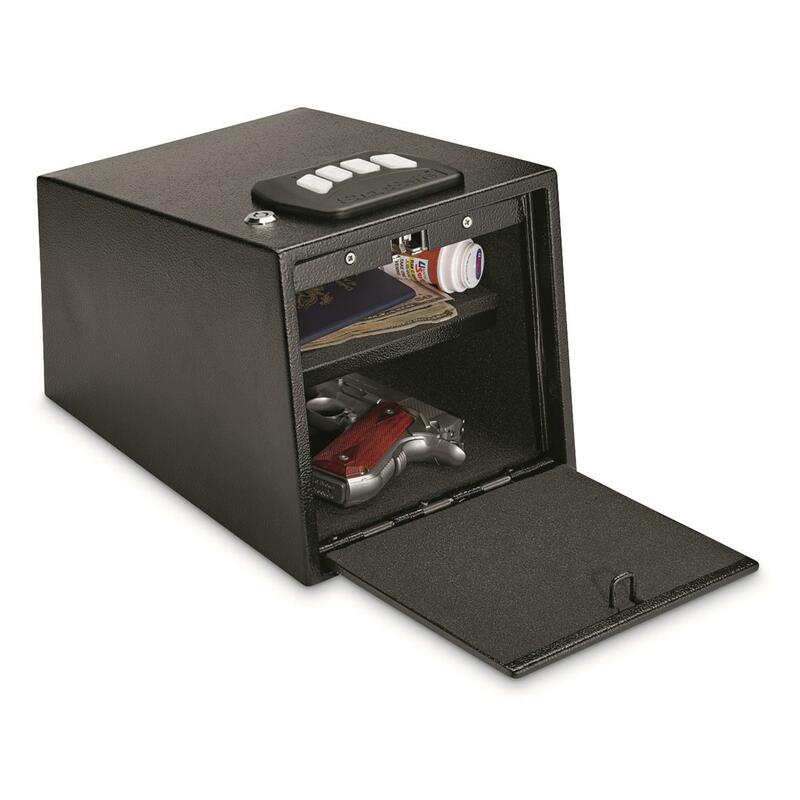 Compact Safe fits nicely on your desk or shelf, yet is large enough to hold 2 pistols and other expensive valuables. 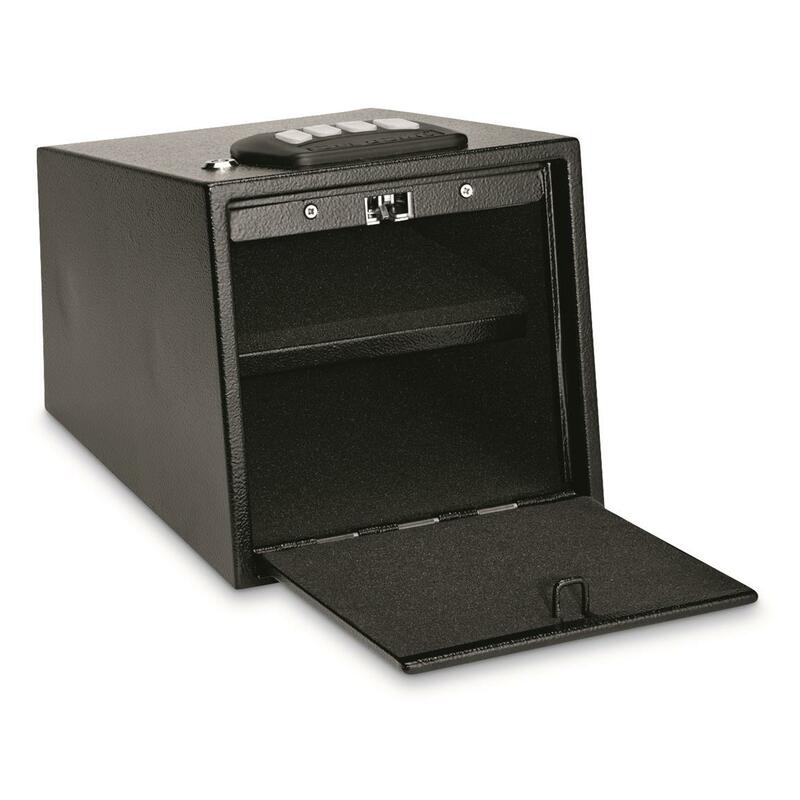 Exterior Dimensions: 12.7"w. x 8.8"d. x 9"h.